Login stores the session number in a “cookie” in your web browser that will be kept until you log out. That single-use identifier contains no personal information. 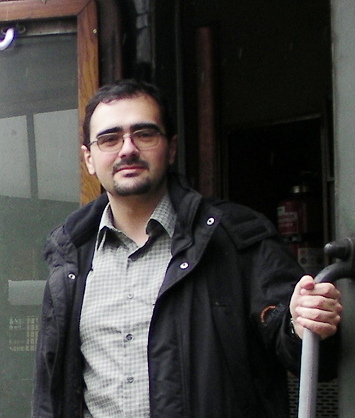 I'm a software consultant based in Saarbrücken, Germany, and I've worked with customers from Germany, United Kingdom, Australia, Belgium, New Zealand, Ireland, United States of America, and Singapore. My specialty is dropping in the middle of a running project and getting things done. Some times my customers need that to meet a deadline after the work turned out to be more difficult than expected; in other cases they just want an additional component that was not included initially in the project. In the portfolio page you can see some examples of work I've done for them. I'm interested in challenging requests open to creative solutions. Contact information is available in the About page. 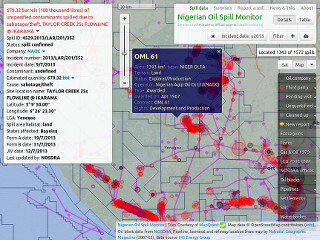 A web-based Geographical Information System used by the Nigerian Oil Spill Detection and Response Agency (NOSDRA) for tracking oil spills incidents and opening the data to the public, made using AngularJS, Bootstrap, and LeafletJS with SVG. It is being further developed and became the base for the gas flare tracker during summer 2014.